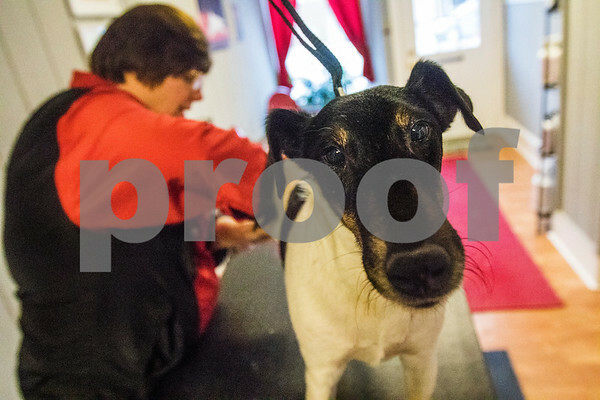 Tommy, a seven year old smooth fox terrier, gets his back nails clipped by his owner Lisa Leady in the new store front for her business Primp My Pooch at 316 W. Main Street in Genoa on Monday, Jan. 11, 2016. She has had her mobile grooming vehicle for Primp My Pooch for eight years. The storefront will open Jan 18.